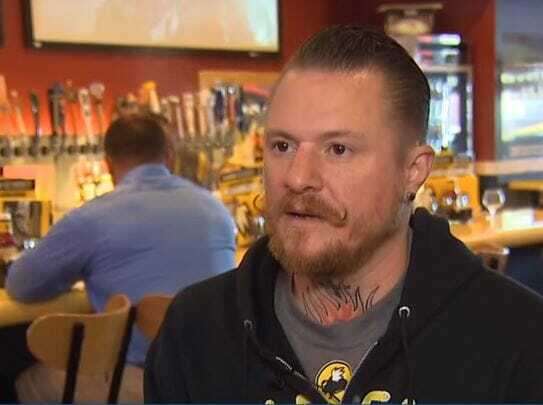 Brian Avery was working the afternoon shift at a Buffalo Wild Wings in Washington when a military woman and her friend came in for lunch. The woman ordered two beers, a Blue Moon and a Corona. Brian explained to her that he couldn’t serve her the beers – the bar has a one drink policy and could only serve her one drink at a time. But then the woman explained to Brian that the Corona wasn’t for her. It was for her brother – either her sibling or a fellow soldier – who had died in Iraq. When Brian heard this story, he was all too happy to serve the woman both her beer and the second beer for her fallen brother. But there was something that still bothered him. 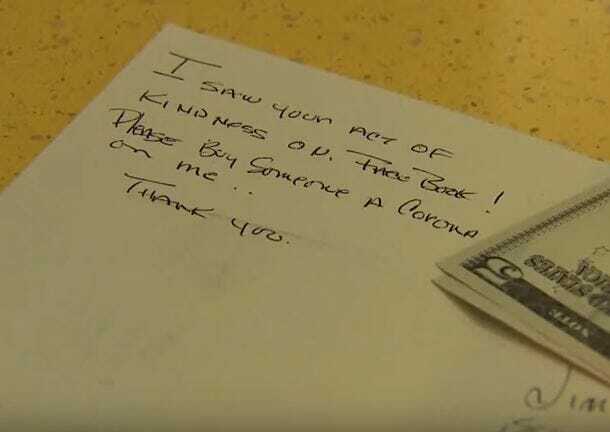 The woman was so touched by the gesture that she left a note on her receipt when she left. But the act of kindness didn’t end there. When the woman left, Brian says he couldn’t bring himself to throw out the beer. 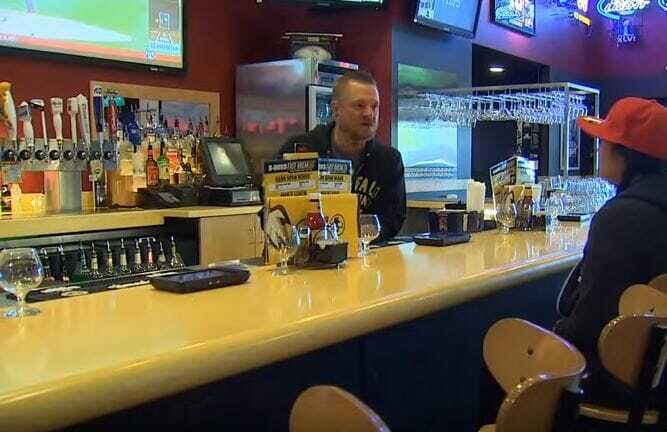 “I was cleaning up the lunch stuff and I had the beer in my hand and I thought ‘I can’t dump this’,” he says. 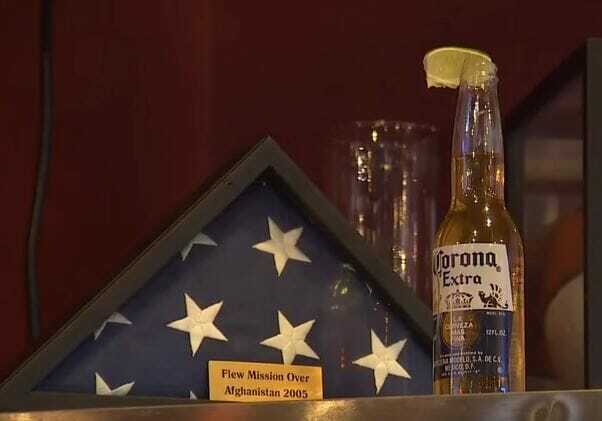 Instead, Brian set the beer up next to an American flag above the bar that honors another fallen soldier. 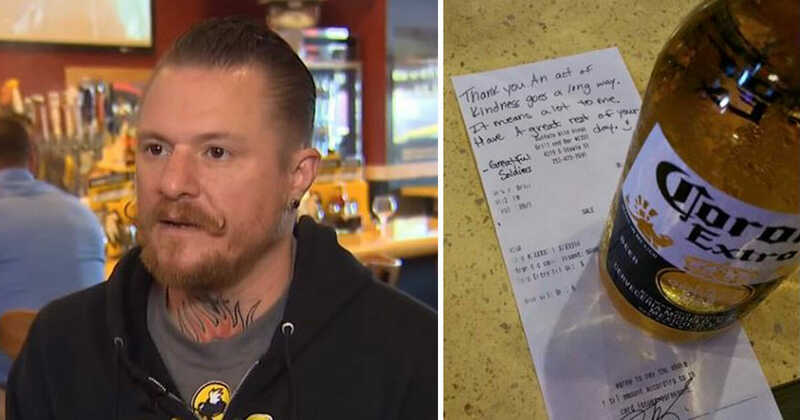 Brian posted a photo of the beer and the thankful note on social media, where it has received thousands of happy comments praising Brian’s kind gesture. 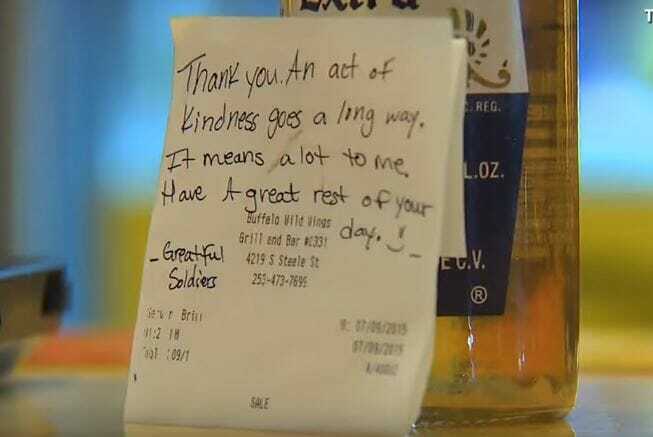 Brian and the bar have also received notes and gifts from people who were touched by the story. What a simple and touching show of respect for all our fallen soldiers. I wish more people had this much thought for those who’ve served our country. Help us share this story to thank Brian for his kind gesture, and to show respect for all our armed services.